I love you. I do. I am in awe of your “first out of the water skills,” your win at Escape from Alcatraz last year, and pretty much the entire rear view you own. OH! And I love the ISM saddle too. Only you can look this good in neoprene. You are like the New Kids on the Block crush of my 30’s. 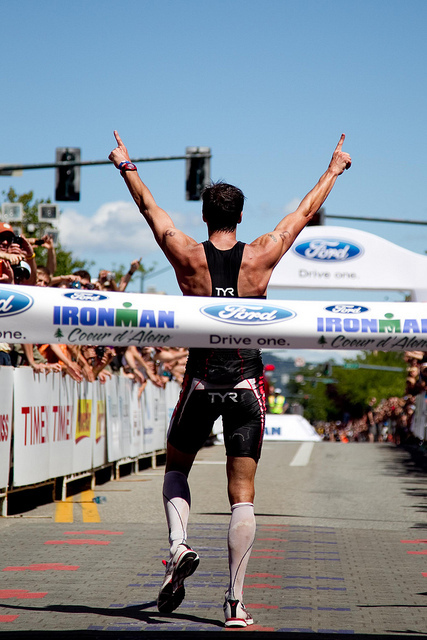 Only you do triathlon. Yes! And I suppose it is true that I did go on the New Kids on the Block cruise last year. I hope that doesn’t make me lame. Because it was a fun cruise, and you would have LOVED the open water swimming that could have been done. Anyway, enough about New Kids and more about you. I think you should have a cruise. I bet we could fill a boat with ladies who love you. But if we do, just remember that the Andy Potts Cruise 2013 was my idea. I love All3Sports, and I know they sponsor you. Maybe if I know my Ironwoman by then, we could all ride together – maybe you and I could ride tandem, just for a bit. Wouldn’t that be fun? I think so. Hopefully, I would have my boot off before then. Dagnabit! My boot!! Ugh. Can you come in May or June? I should be strong enough by then! Plus, I’d want to be able to have a pedicure and wear cute shoes…. Just a thought. 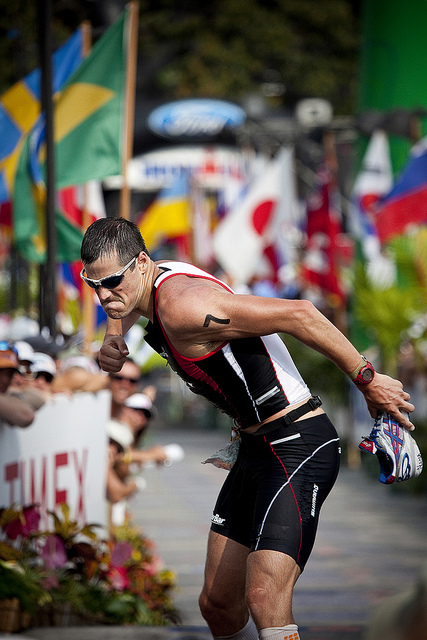 Andy Potts, who I love. You’re my favorite boy triathlete. Although I do also love Matty Reed for agreeing to take picture with my race sign in Miami 70.3. 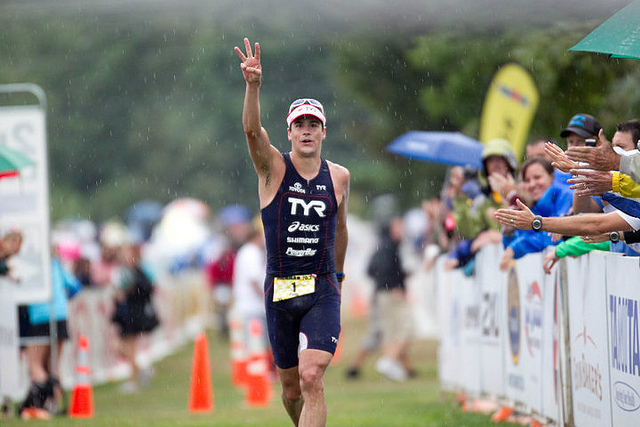 But I do love you most…(out of all the boy professional triathletes). The Expert is still my favorite BOY. In all seriousness, best of luck this season. I’m rooting for you!